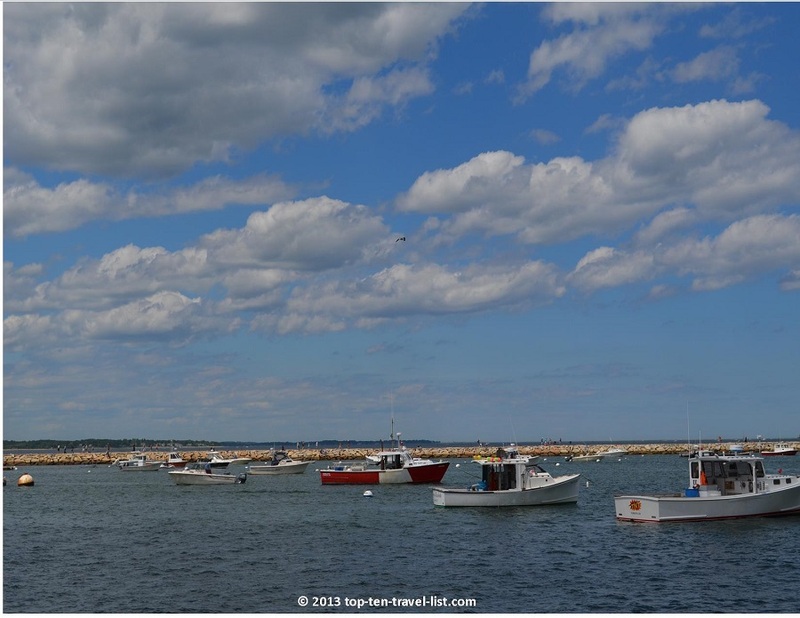 A Photo Trip through Plymouth Harbor & Provincetown - Top Ten Travel Blog | Our experiences traveling throughout the US. 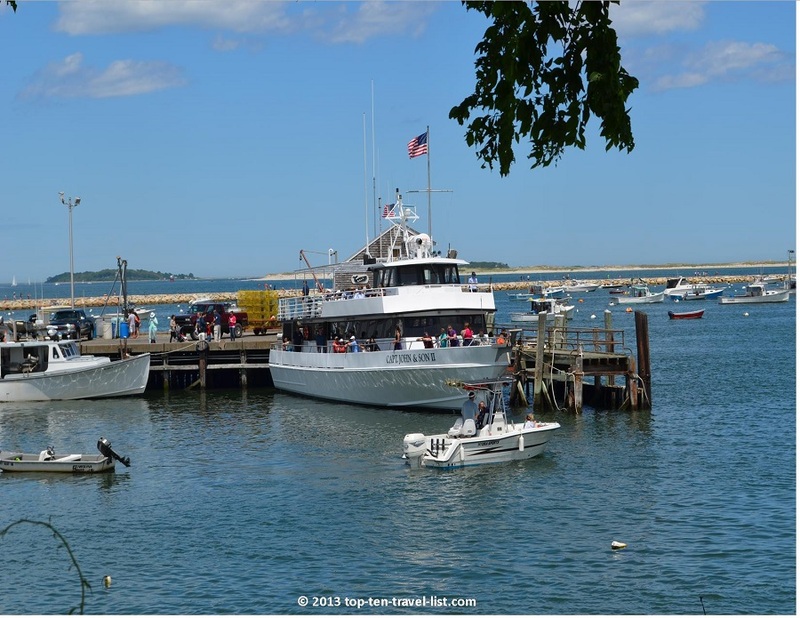 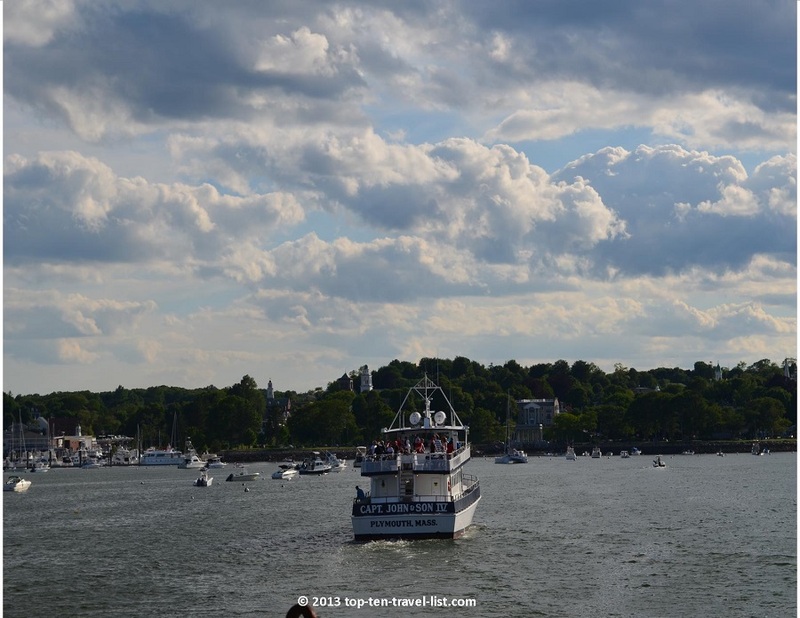 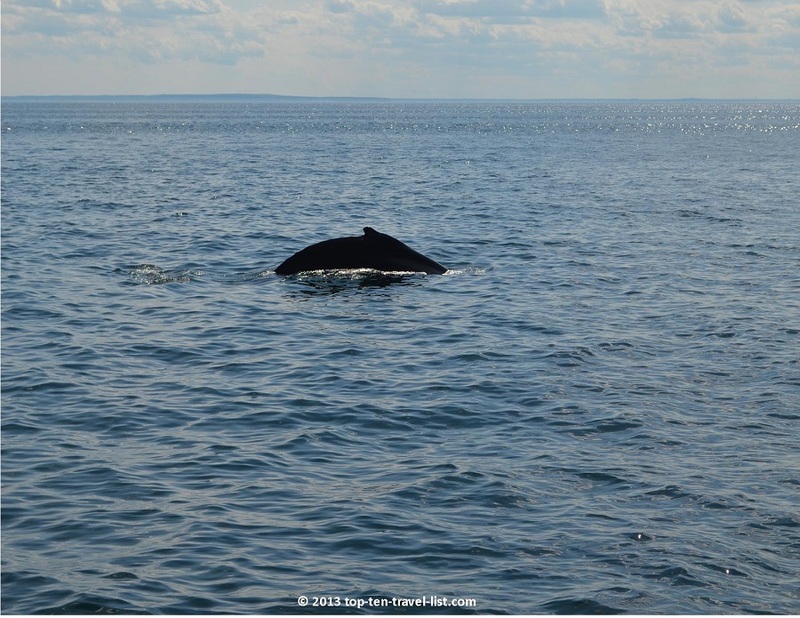 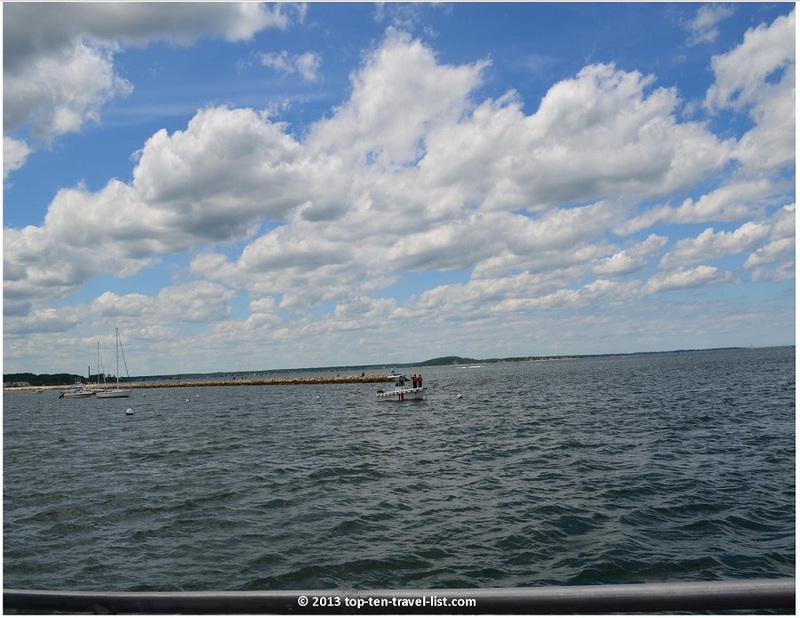 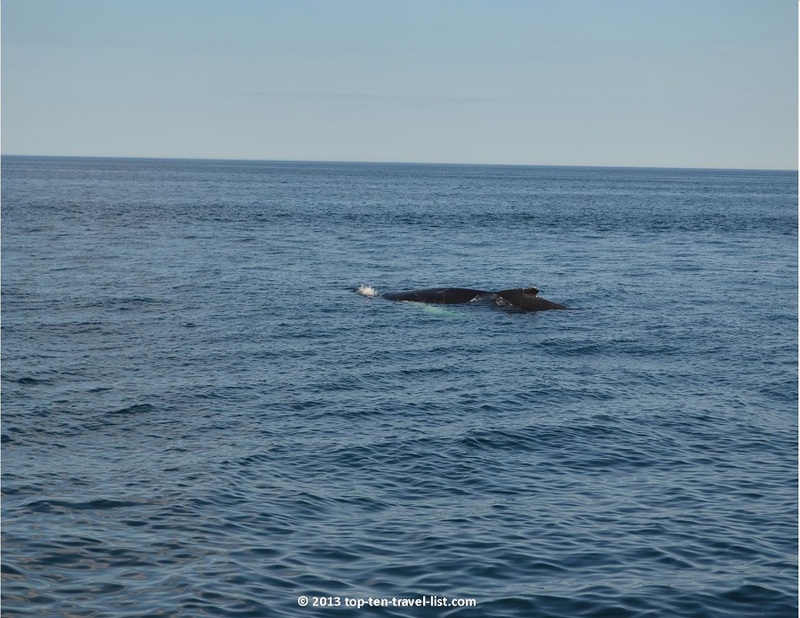 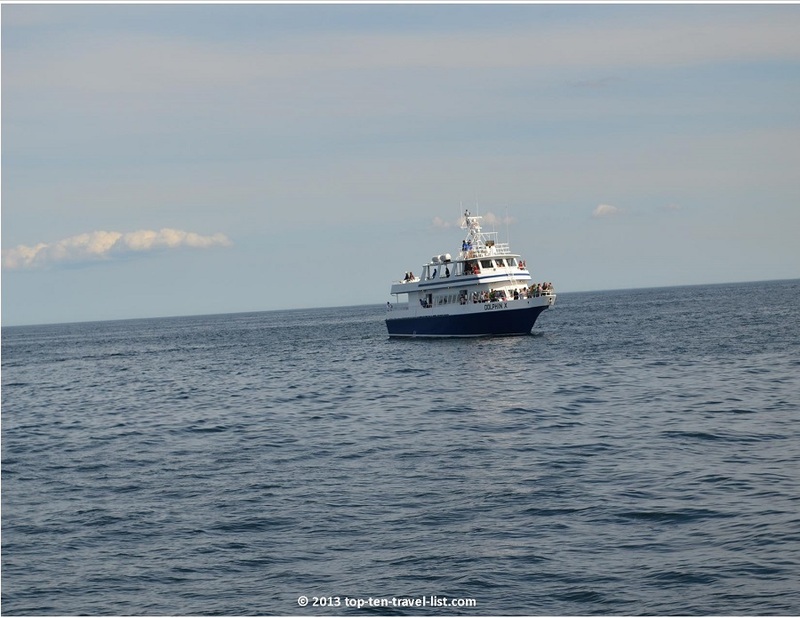 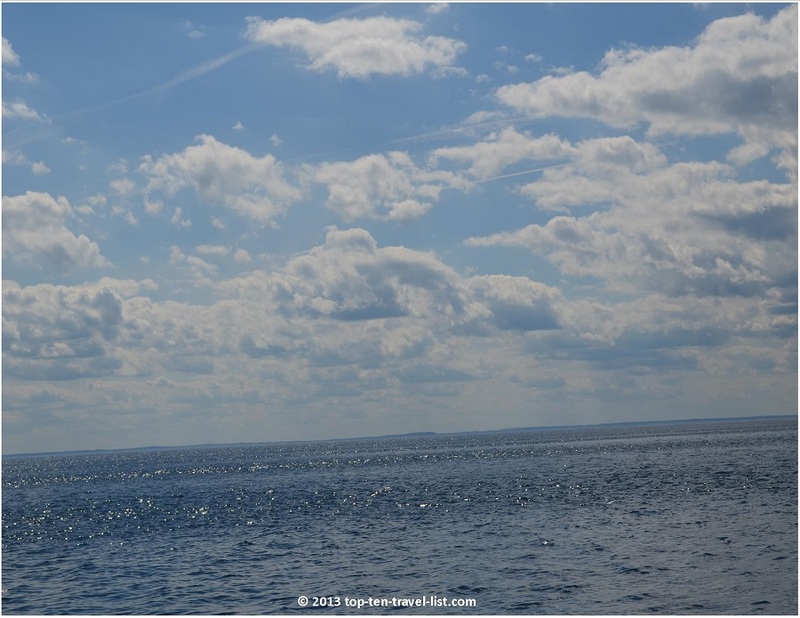 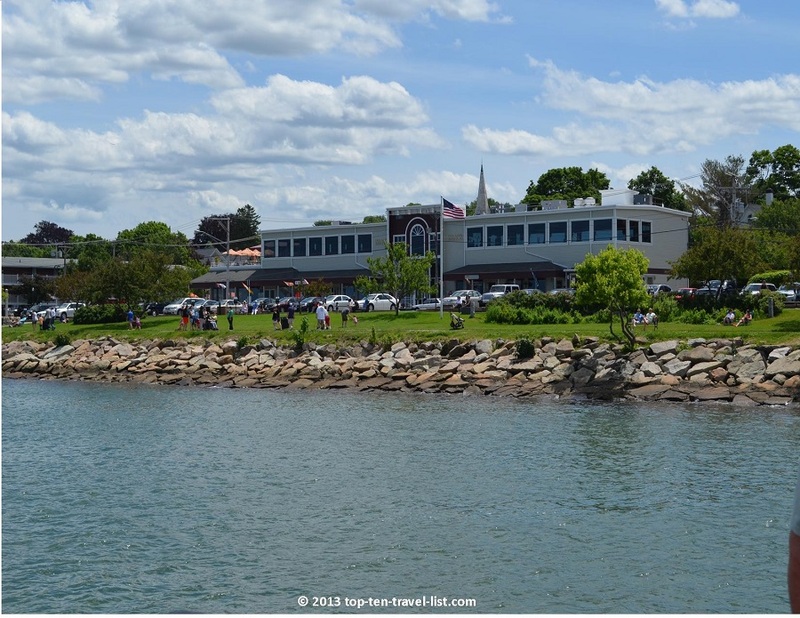 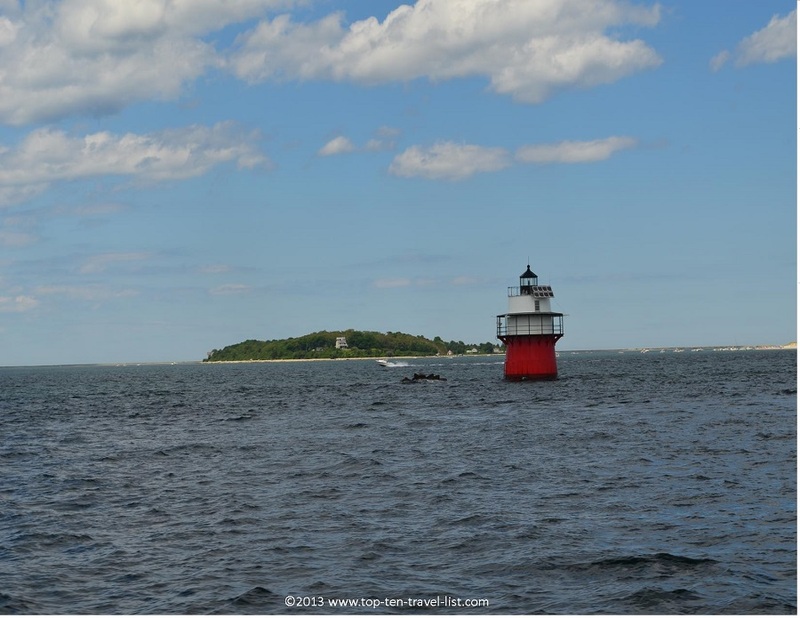 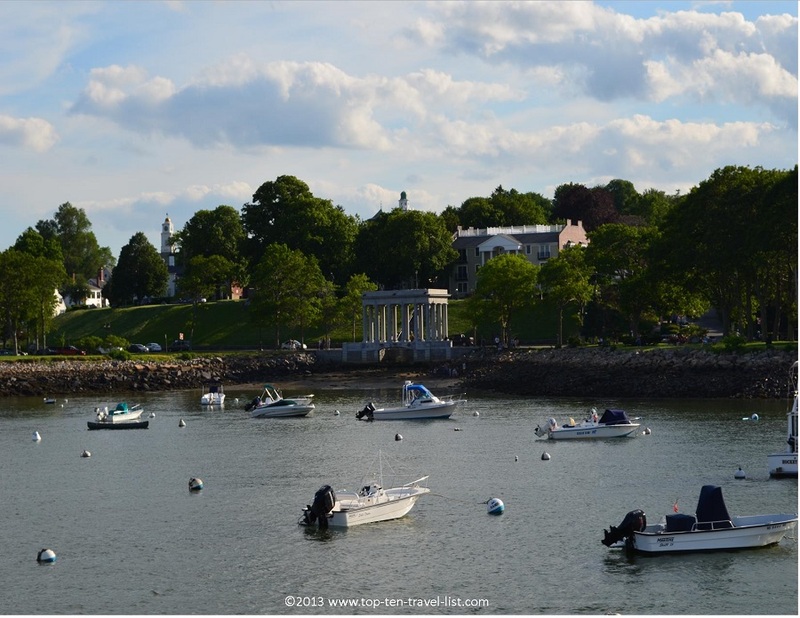 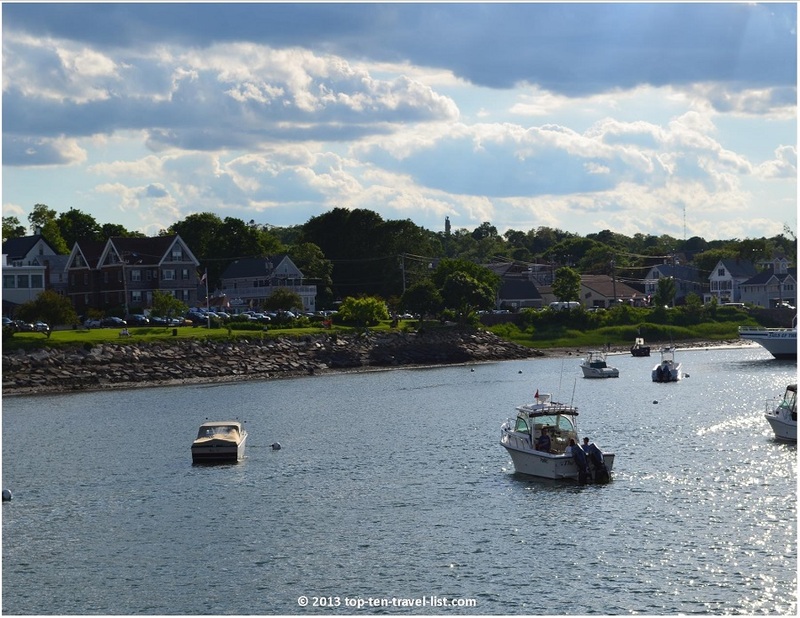 During a 4 hour afternoon whale watching cruise in Plymouth, Massachusetts, Mike and I were able to catch stunning photographs, not only of whales, but also beautiful islands, lighthouses, landmarks, and water views. 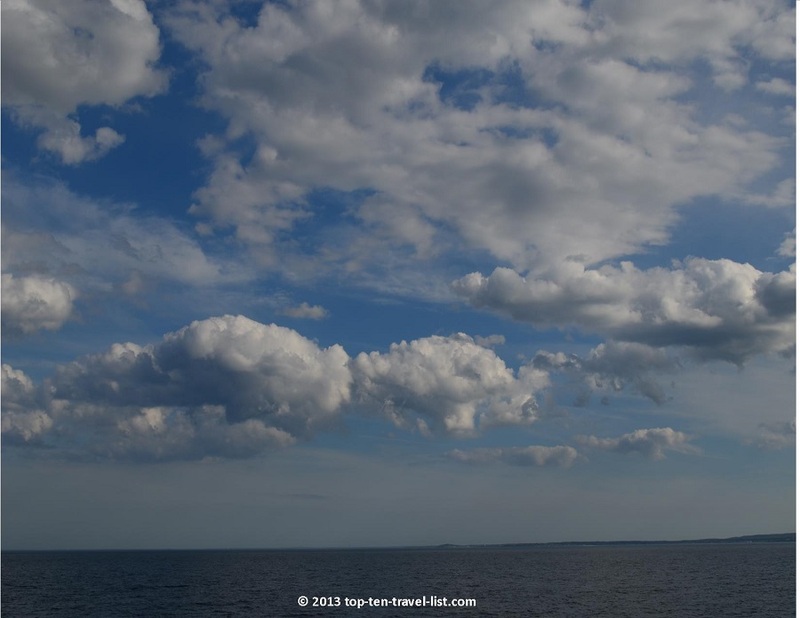 Check out a few of these spectacular photos which we took during my journey! 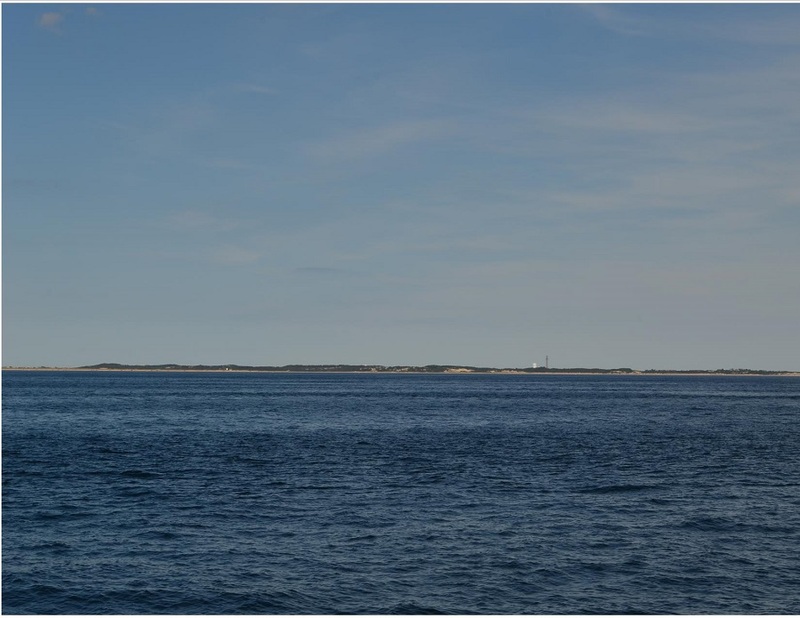 Provincetown, Cape Cod in the distance. 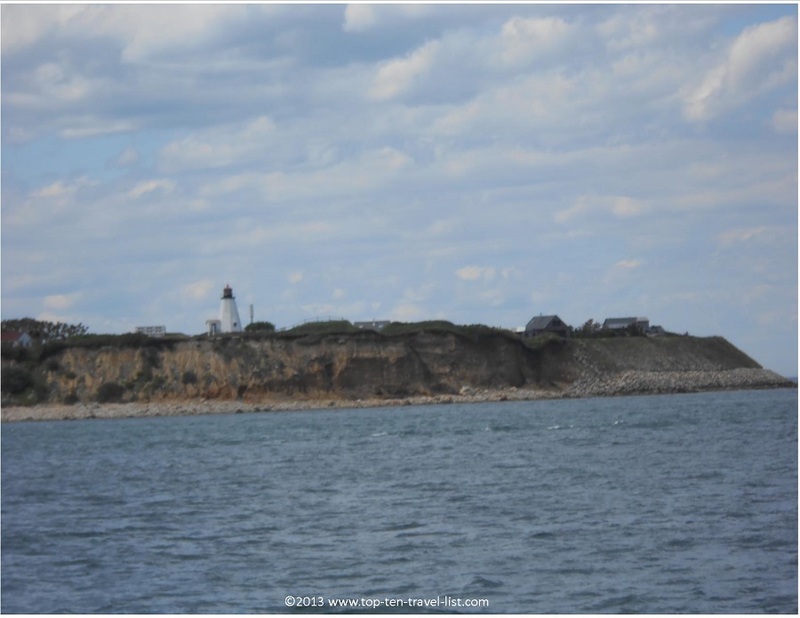 The tall structure is the Pilgrim Monument, built in the early 1900s to commemorate the first landing of the Pilgrims.